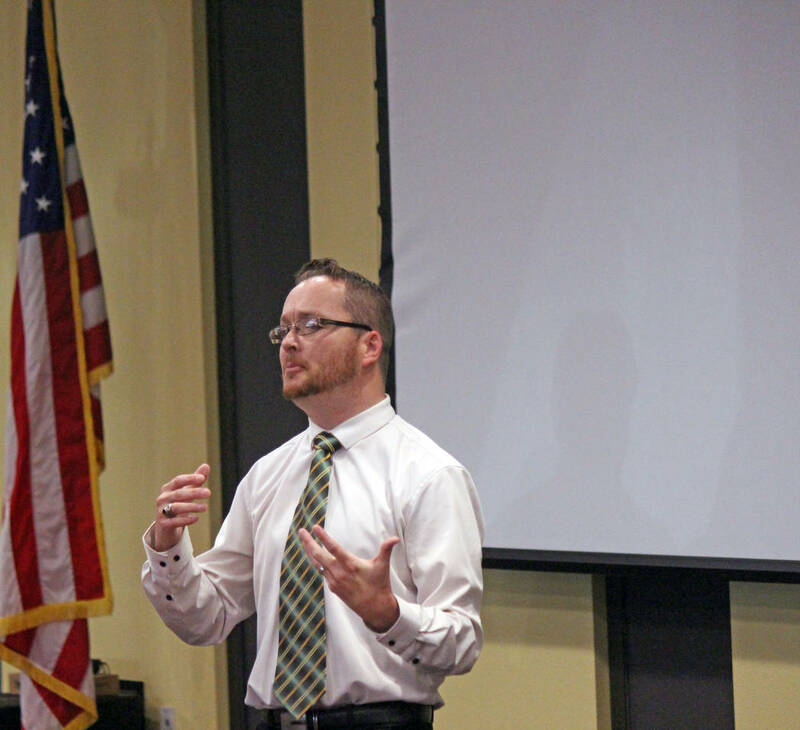 Jeffrey Meehan/Pahrump Valley Times Justin Curnutt, owner of Pahrump Health and Wellness, is a member of the Pahrump Valley Academy Board of Directors. 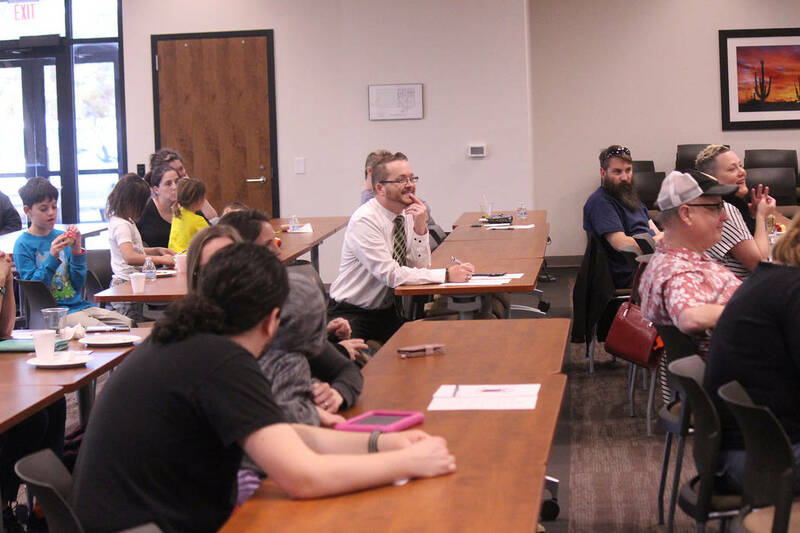 Jeffrey Meehan/Pahrump Valley Times Pahrump Valley parents attended in introductory event for Pahrump Valley Academy on March 23. Set to be the first public charter school in Pahrump, the academy is planning to open its doors in the fall of 2020. Jeffrey Meehan/Pahrump Valley Times Sable Marandi, Pahrump Valley Academy Chief Educational Officer. Jeffrey Meehan/Pahrump Valley Times Pahrump Valley Academy board members and staff spent much of March 23 explaining the concept to the community, fielding questions and collecting applications for the first year at the new charter school. Local resident Sable Marandi said she wants to ensure that Pahrump students have every opportunity to seize their educational possibilities so they can thrive. More than this, however, Marandi is set on a mission of offering area students an advanced, college preparatory curriculum specifically geared toward readying them for entrance into and success within the top universities in America. 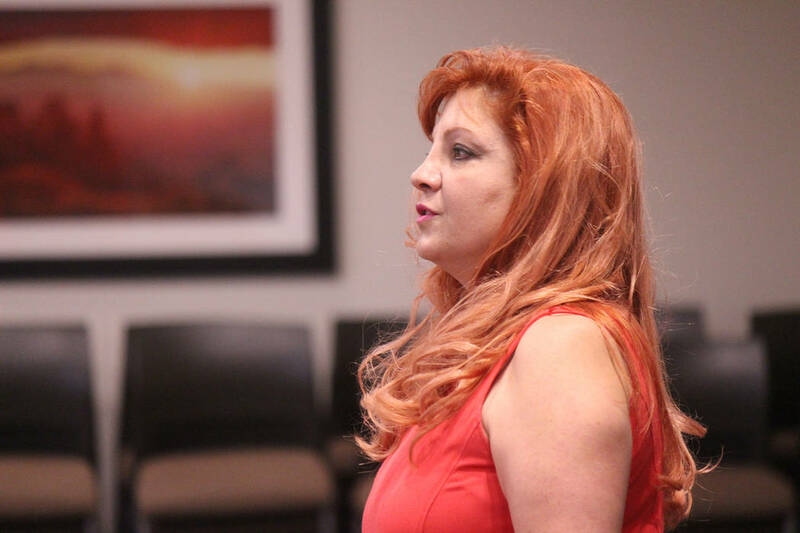 With this mindset, she has founded Pahrump Valley Academy, what is set to become the valley’s very first public, non-tuition charter school and she was obviously excited to introduce the concept to the community during an event held Saturday, March 23. 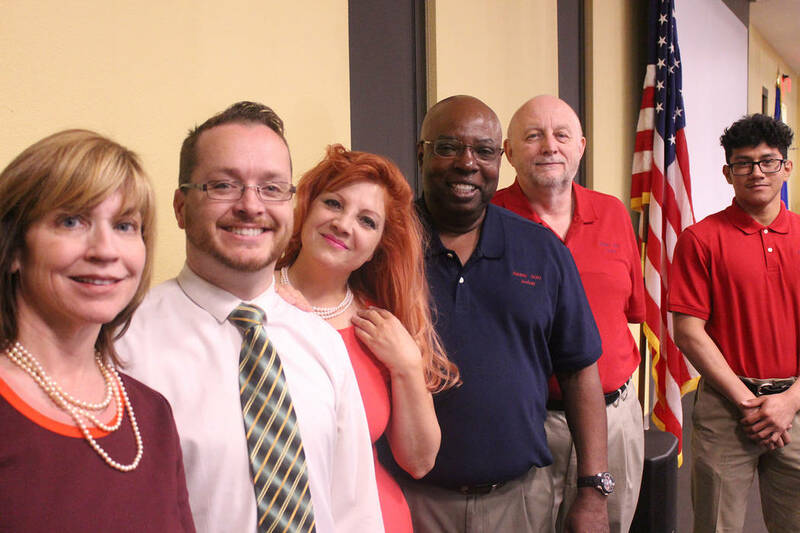 Marandi is the chief educational officer of Pahrump Valley Academy and she is joined by a team of staff and board of directors who, collectively, are steadily working toward the goal of opening the charter school in the fall of 2020. “We are getting much more than just a good reaction from the community. We have had parents say, ‘Thank you for coming here, thank you.’ That’s been the most common,” Marandi said with enthusiasm as the event was underway on Saturday. 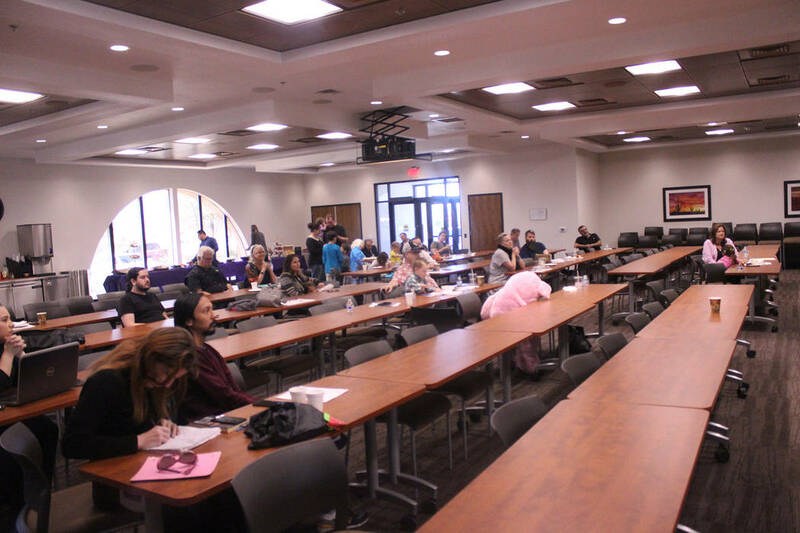 “We’ve had an amazing response and we are delighted to be here in Pahrump.” She stated that thus far, the academy’s first year registry is nearly full, with 30 applications filled out that afternoon and more than 70 others already submitted prior to the event. Marandi said she and the Pahrump Valley Academy team are dedicated to marking Pahrump’s place on the educational map, one that will attract attention from educational institutions from across the country. “This charter school is my approach to change,” Marandi detailed, noting that as a former teacher, she had found limitations in her ability to educate and she wanted to do away with those challenges to provide the best education possible. In its first year, Pahrump Valley Academy is set to include kindergarten through fifth grade and the group plans to add a grade each year thereafter, until they have established a full K-12 institution. In their first year, they will be renting but that will only be temporary, Marandi stated. The organization will then look into building a facility utilizing local builders and resources, bringing an added benefit to the community. Pahrump Valley Academy will therefore be following common core but Marandi emphasized that the students will be challenged to the fullest, with minimum standards pushed aside in favor of much more rigorous, higher standards. “We are common core. However, when you look at learning standards, for every learning standard, there is also a college and career ready standard,” Marandi said. Marandi said with such a wonderful group of caring, passionate people working toward their collaborative goal, she has no doubt that Pahrump Valley Academy will see success in the future and will ultimately become a go-to institution for students who are planning to pursue higher education.